Breaky Boxes is a French indie folk band which consist of three young talented musicians: Jean François Moortgat, Brice Sibille and Valentin Queval. They decided to play music together in 2014 and on 28 March 2018 they released their debut EP "From the Shelter". 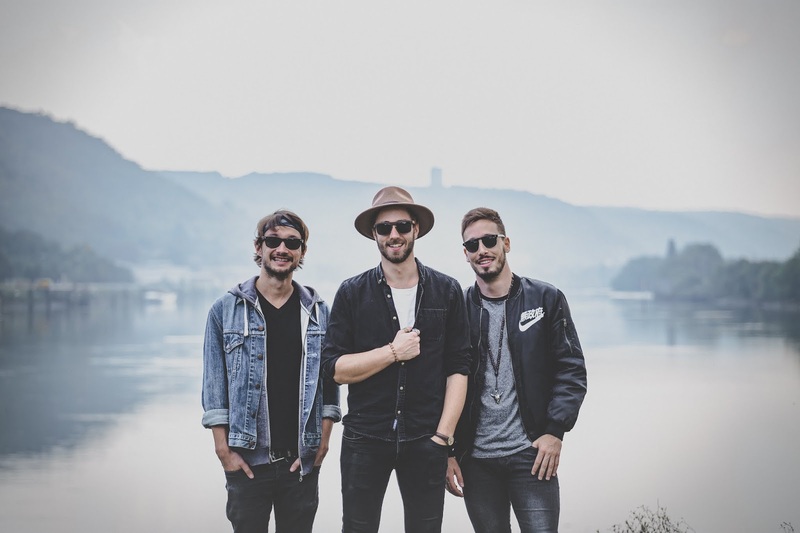 In August 2018 Breaky Boxes are planning to show their musical skills on Sziget Festival in Budapest, one of the biggest festivals in Europe. 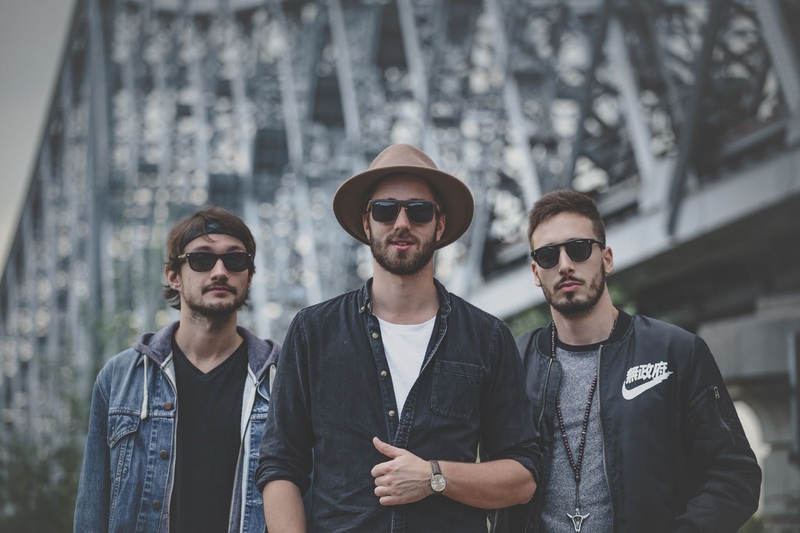 In the interview, the band's vocalist Jean François Moortgat is talking about the beginning of the group's career, their musical inspirations, friendship and plans for the future. Your indie folk band Breaky Boxes was formed in 2014 in Rouen and consists of three long-time friends. How did you come up with the idea of making music and performing together? In the first place, music brought us together, it became obvious really quickly that we had to play music together. Like every band, we started by rehearsing some covers and really fast, we decided to become more serious about it, and we started composing right away. We all had different experiences in other bands before but this time we all felt something bigger and stronger. On 28 March 2018 you released your debut EP "From the Shelter", which was influenced by American and Irish folk culture. Which artists were your main sources of inspiration while making this record? Many things influence us every day in our way to write music. 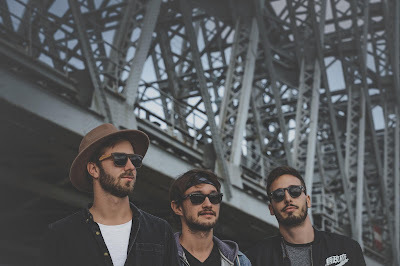 The main bands that have been inspirations for us are Mumford and Sons and Needtobreathe. They both have an infinite talent in composition and dynamics when they write music. Also, we wanted to develop the "three voices aspect" in the band. These two bands have an incredible feeling when it comes to writing vocal harmonies, which immediately seduced us. As you said, we built the record on American and Irish folk music, but also pop music. Indeed, we wanted to create something new, there is no point of making something that has been already made. We use pop melodies on the lead vocals to have something modern to folk music. When you have a catchy and popy chorus, with a mandolin playing behind that, we feel like this is a really uplifting combo. Most of the songs from the album are devoted to friendship, brotherhood and keeping positive energy. How can you describe the atmosphere in the band? Do you have any arguments about your music's direction? More than a band, it is a friendship story that we all live together. We all live together in a big house where we decided to devote our whole life to music. We work on our project every day, we have a rehearsal and recording studio at home, which allows us to develop ourselves as we want. Every decision is made by the three of us. We always discuss what is the best for the band and for us, obviously we cannot agree on everything the first time, but there are no arguments, only debates on what we should do to get better. You have already performed more than 150 shows in France and on 12 August 2018 you perform on Sziget Festival in Budapest, one of the biggest festivals in Europe. How do people react to your music? What are your favourite fan experience so far? Every time we play a show, we try to make it as unique as possible, and the crowd always give us back what we give. Like you said earlier, we try to give a positive message, and we want people to feel good when they listen to our music. We want them to live something great when they see us live. As far as we can remember, no one has ever disappointed us in their reaction. One of the songs from your EP, "Land of Brothers", was written after a trip to Ireland. What is your favourite place in Europe, your "paradise on earth" and why? We played in a few different countries as a band and we all travelled a little bit around Europe, I don't know if it is possible to choose a place. Maybe for now, our "paradise on earth" seems to be on stage, whereever this stage might be! Have you ever been to Poland? Would you like to perform in our country in the foreseeable future? We never played in Poland yet, but I can tell you that we are already planning our next tours for 2019 and one of them will be in Eastern Europe, where we never played at all actually. We really hope this would bring us to Poland, we cannot wait to discover your country and you guys. Being a musician requires a lot of energy to make the best performance you can. What do you do to stay in shape and be healthy? We don't really have a secret diet or an exercises planning. We just try to get as much sleep as possible. People need to know that the myth of the musician who always party, drink all the time and do drugs is unreal. Indeed, you cannot make it unless you are serious in your life, just like in any other job. "From the Shelter" is only an EP, so I guess that you are working on a full-length album now. What can we expect on your upcoming record? Will it contain only the songs in English or in French as well?